Enhance your bathroom decor with the Mohawk Home Spa Bath Runner. This rug features a sturdy, yet soft nylon construction with a solid pattern in a variety of attractive colors that you will love. I would refer this to a friend. Even though the color did not match the color sample that I viewed, it is very beautiful and distinctly well made. 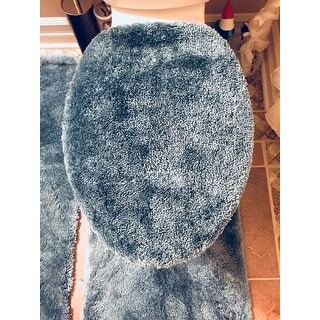 Because I had purchased a few items in the Mohawk Series, and all the colors matched each other, they have made my bathroom look almost like a new bathroom. Yes, I would order this again. 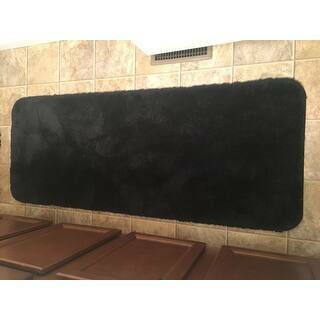 This 24x60 Mohawk Home Spa Bath Runner is perfect size! It fits beautifully in my bathroom. It's very soft! What I like most about this is that after standing on it for a long period of time, it fluffs back up. It stays where I put it. No sliding. 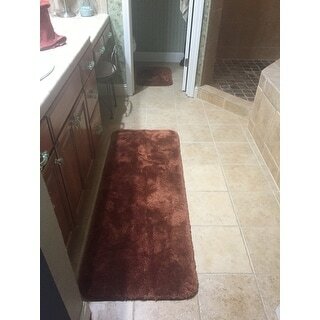 I highly recommend this beautiful bathroom rug! Excellent quality, and color choices as shown on website are quite accurate. Choices for sizes are good. I purchased a set in color SEA, which is a muted turquoise blue. Last pic, of toilet lid cover, makes it look grayish, but it’s actually turquoise blue; you can see that by matching up the tiny bit of blue in the chair with the color of rugs on the floor. Very pleased with this purchase. I was looking for specific colors and this rust color was one I was looking for, which also came in a smaller size for the space in from of the toilet and shower. Very plush and well made. We machine wash our bath rugs in warm water in gentle and then let their air dry outside. Otherwise, the backing starts to degrade. Great, soft, made well and matches the rust color towels I already have- a bonus! 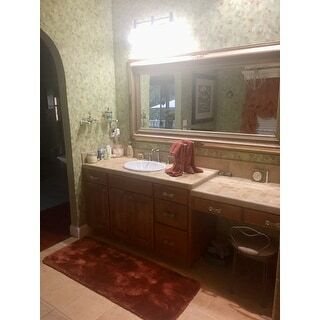 This runner goes from one bathroom sink to the other so we both have a rug without the multi-rug look so much. (Also have the toilet one) Very happy with it. I purchased this Ebony colored runner with matching lid and contour. 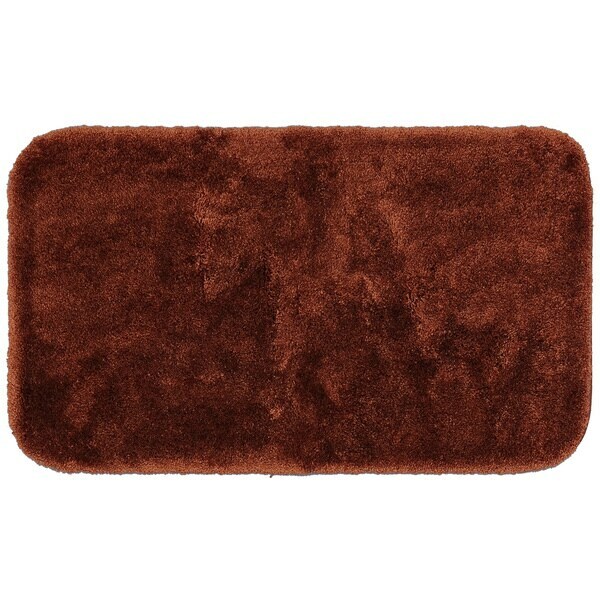 Perfect length and very plush and soft with deep rich color. I plan to order another color in the same style. You won’t be disappointed with the Mohawk Home Spa. I ordered a set of these rugs because of the eggplant color which matches the amethyst in my granite vanity top. 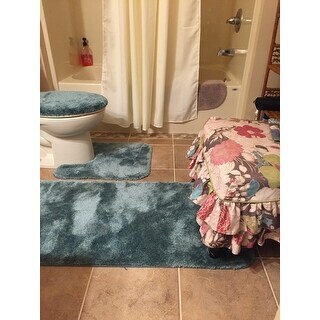 I immediately loved the color, texture, and quality of the rug, but chose not to review until after the first wash. After the first wash, the rugs came out of the dryer looking brand new. There was a very, very small amount of purple fiber on the lint scree, but the rug's color is as vibrant as ever. There is a very faint purplish tint to the white backing now, so I suppose that some fading occurred, but it did not compromise the rich, dark color of the rug at all. I love this bath runner. It is very comfy on the feet and is definitely a quality rug. The color looks a little more blue green than I was expecting. But I am very happy with this purchase. I received on time , excellent condition, it was hard for me to find the color I needed this was perfect. Vary soft on the feet. I love this bath runner. Looks beautiful and fits perfectly for the tub. Got it in iris color and it’s just a beautiful dark purple. 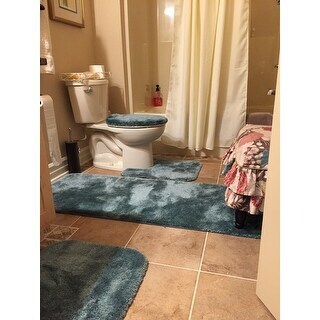 Bought the matching toilet rug and lid. Very nice rug. I ordered the slate color. I feel it is more blue than shown on photo. I was looking for more of a grayer shade. I decided to keep it anyway because it was good over all. I bought this and the matching rugs in practically all the different sizes in a really pretty blue. It looks really pretty in my bathroom and holds up well under the traffic. Soft, beautiful color and excellent quality. "Is the vanilla color an off-white or does it have a grey tone?" "What is the difference between the pewter and chrome color? They look identical on my screen. Which one is darker? Thank you for your help." "What color is brick and does it go with brown"
In my opinion it is a dark burgundy. It is "Rust" in color. It is not burgundy as it has no red in it. I bought three and they are absolutely beautiful. They are plush and really make a statement. "What is the depth of these rugs (its plush)? Also, does it have a latex back? I'm concerned about slippage." It has a non-skid latex backing. Pile is approximately .5 - .75 of an inch. "can you tell me if the forest color is green or blue, hard to tell on my computer. thank you"
Forest is a green color. Excellent quality, thickness and true to color. "Can I return if color or any thing is not good"